In the northern end of Chicago’s Wrigleyville neighbourhood is a creperie that I love to frequent. 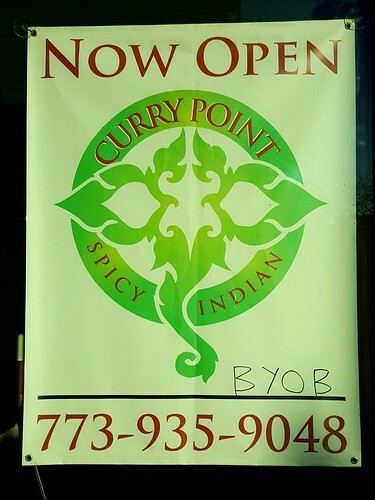 Next door to it is an Indian restaurant at 3913 N. Sheridan Road named Curry Point that opened a few months ago. What was initially a carry-out location only eventually added more space to allow patrons to have a proper sit-down dining experience. With Indian food being top on my list for culinary satisfaction, I gave the restaurant a lot of business when they were doing carry-out and delivery only. 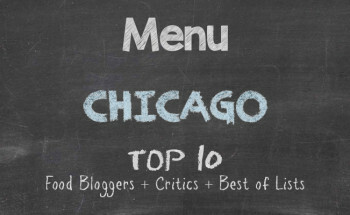 Now that they indeed have a dining area, I would be remiss to not include them on Chicago Alphabet Soup. I started with samosas and a mango lassi. 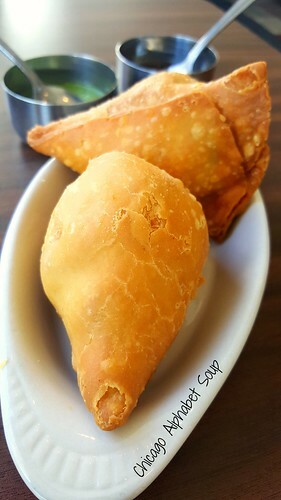 The large teardrop-sized samosas were fantastic. There was a spicy kick to them that made them that more appetizing. I mashed them up and topped them with cilantro chutney and tamarind chutney before finishing them. 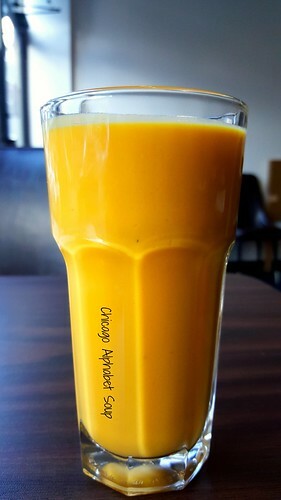 The mango lassi was exactly what I needed because after a few swallows of the samosas, it turned out they were spicier than I thought. And I loved them that much more. I had not eaten breakfast, so by the time I had arrived at Curry Point, I was ravenous. To pander to my appetite, I ordered a baigan bharta. This came in a clay pot, filled with eggplant in a rather spicy gravy, exactly what I needed after coming inside from chilly weather outside. 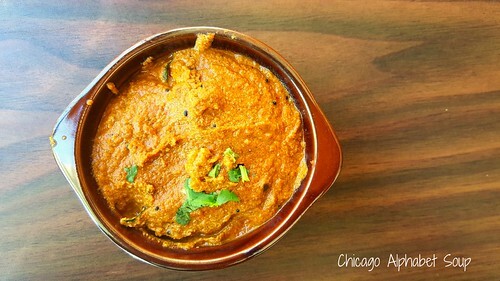 Served with rice to counter a bit of the pepper in the gravy, I later admitted that I liked this version of baigan bharta because of the thick gravy, rather than mere clumps of spiced eggplant, as I have had at countless Indian restaurants. 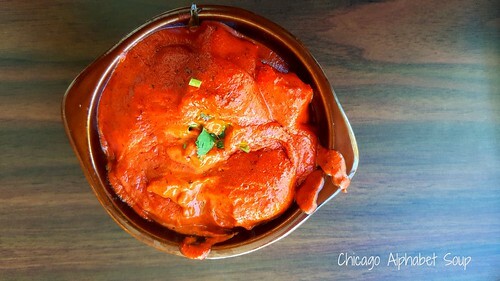 The chicken tikka masala was the second main dish that I had and I must say that this tasted better than most butter chicken dishes that I have eaten. Spicy in the same manner as the baigan bharta, there was still flavour to the dish, not just overpowering pepper leaving a heat ring around my mouth. And rather than small pieces of chopped chicken, there were large chunks of succulent chicken. I sat in the restaurant for close to three hours and took my time enjoying the whole meal. There was a moment when the restaurant was empty and the owner came to my table. He had mentioned that he remembered me when I had come to Taj Majal on Taylor Street in Little Italy. 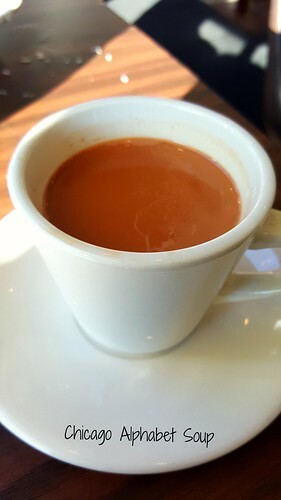 He recalled that I ordered everything spicy and seemed rather miffed when asked if I really did want my dishes peppery. He said that I didn’t seem very American, the observation not being insulting. The usual fear is that preparing dishes that aren’t pleasant on the palate results in bad reviews on social media and restaurant boards. Well, before I left Curry Point, I ordered chana masala and mango chicken — both spicy. I watched the interaction with the owner and patrons during the occasions when I went previously. Outstanding comes to mind and the interaction was an indication that you’re not just another face coming through the door. With it being early in the day, I did not bring any alcohol, but the restaurant has a BYOB policy. Good food, reasonable price, and fantastic service, I see no reason not to make it a point to see how easy it is to fall in love with good, spicy Indian food.